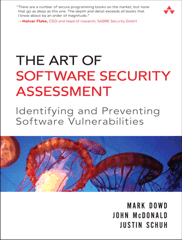 The Art of Software Security Assessment - Identifying and Preventing Software Vulnerabilities (Amazon / Official Website) by Mark Dowd, John McDonald and Justin Schuh is a huge book. At more than 1100 pages it's the fourth biggest book I've ever read. It was quite a task to read it front to back and so it took me a while. Here's my review of the book. 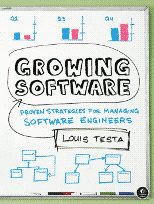 Continue reading "Book review: The Art of Software Security Assessment"
At this point I can hear you saying "Gee sp, don't all algorithm books teach you that?". Maybe they do. All decent ones at least. But Skiena's book is different. All the other algorithm books I've read so far deal with the three points I mentioned only briefly in the introductory chapters. The rest of the books present implementations of algorithms. In Skiena's book the three points are the central theme of the book. The book teaches you how to extract the relevant information from a problem, how to transform a given problem into a well-researched problem, how to select the best data structure for the job and how to really improve algorithms. Implementations of actual algorithms or data structures were omitted. 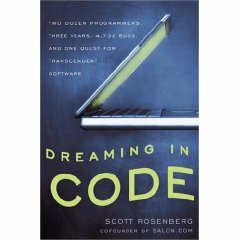 Skiena's book might be the only algorithm book that doesn't present any actual algorithm code (there are a few tiny algorithms given in pseudo-code but not many). That's what makes the book so different and yet so valuable. Continue reading "Book review: The Algorithm Design Manual"
At this point you may be wondering who we are and what gives us the authority to write this book. We're both recent graduates who've been through a lot of interviews in the past few years. Are people who went through a lot of job interviews actually qualified to write a book about acing job interviews? On the other hand a guy who only needed a single job interview to get his dream job is probably not qualified either. I guess only people who actually sat on both sides of the table can really write good books about job interviews. If you want to have an example of what I'm talking about check out Steve Yegge. He writes amusing blog posts about job interviews once in a while (old site - new site). 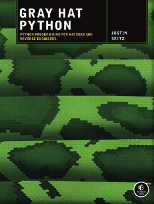 Continue reading "Book review: Programming Interviews Exposed"
When the Quake 3 source code was released a while ago, people found a curious function called InvSqrt. This function turned out to calculate the inverse square root of a floating-point number in a pretty cool way (read everything about the function here). Recently someone tried ( unsuccessfully ) to find out the origin of the function and the function was once again on Slashdot and Digg. Personally I'm not concerned with calculating square roots or their inverses but I'm implementing a compiler for a severely limited RISC architecture right now. This architecture only knows 15 very basic operations. For example there are only logical shifts. Arithmetic shifts and rotate operations have to be compiled to a combination of logical shifts and bit-wise operations like "and" and "or". There's not even a bit-wise "not" instruction. Inversing an operand means xor-ing it with a bitmask with every bit set. Anyway, the latest round of e-popularity of the InvSqrt function and my current work brings me to this update. Three years ago I bought the first edition of the book Hacker's Delight by Henry S. Warren, Jr (the official website of the book is http://www.hackersdelight.org/ ). 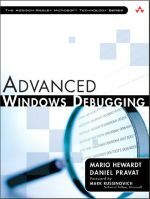 On nearly 300 pages it tells the tale of some decades of assembly programming on weird platforms and what tricks people came up to overcome the limits of older computers. 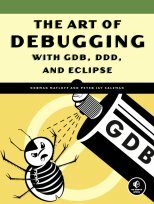 An Amazon reviewer describes the book in the following words: "Think of it as 'The Art of Computer Programming, Volume 0: Bit Manipulation'. Except without the annoying Knuth attitude". This describes it well, I think. Continue reading "Book review - Hacker's Delight"